People who run their websites or blogs always search about the SEO because they know that without optimization strategies, there website or blog is not going to meet its objective. This is the reason why millions of people from all over the world are interested in SEO. I always try to give at least 15 minutes before writing my post because I know that in addition to my quality content I need to focus on the requirements and parameters of SEO. Let us see what is SEO? In very simple sentence, Optimization of design, web content and links fall in Search Engine Optimization SEO domain. SEO is the process of optimization of content provided on a website or blog to affect the visibility of blog or website content in the search engine results. Now look at the meaning of Organic Traffic. The traffic which is received from the search engines is known as the “Organic Traffic” or “Natural Traffic”. It is important because organic traffic can be converted into customers easily. The websites or blogs which receive good organic traffic on daily basis are considered as good or quality websites or blogs. You can say that these websites and blogs are well search engine optimized SEO. Search engine optimization SEO is all about knowing the working of search engines, what is being searched for by people, keywords and related analysis etc. 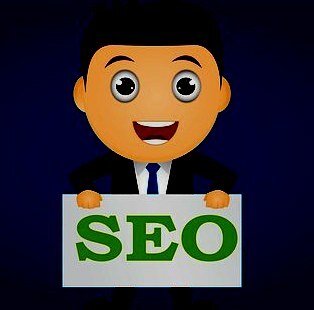 You have to apply the magic of SEO on your website or blog’s content, so that the chances of your blog post or content being displayed as search results increase, whenever the related keywords are searched for or typed in search engines like Google, Bing etc, by anyone from anywhere in the world. The application of SEO on content or article is really very very important because search engines are the beginning point for visitors or searchers, to reach to the desired content. That desired content might be yours only, if you have applied the SEO magic on your content and related stuff. Whenever the desired keywords are searched or typed in the search engine, usually ten results for the searched keywords are displayed on the first page by Google, for the visitors who initiated the search. Visitor always check the first four to five of those search results and choose the best result and clicks on it. The remaining five of the ten results on the first page become secondary for the searcher and get around thirty to thirty five percent of visitor attention only. It means that chances of getting “a click” get lower as compared to first 5 results on the search result. Landing on the very first page of the Google results, is always a desire and challenge of businesses and websites. It can be understood in a way like whenever you want to hide any of your things from others; you will put that thing in cupboard or in draw and will not reveal or keep in front of people. Similar is the case with search engine results, the content which is not displayed on the first page is treated as hidden information. Visitor will not reach to that information very first. This is not considered as a good sign for a website or blog because chances of getting the organic traffic decrease significantly. In simple way to describe here, Google search engine which is also known as Google search, is the platform, where keywords for the desired search are entered by a searcher. After entering the keywords and pressing of search button, Google search engine starts searching the ranked pages containing those keywords and crawls for the relevant and most matching keywords information on the internet. It crawls through the indexes, pages and links etc etc. Only those pages are displayed on the first page of Google’s search results, which are well search engine optimized. Here the important thing to understand is that search engine optimization is an ongoing process and required patience. It is not a get rich quick scheme or a sort of overnight success thing. The well search engine optimized pages are sustainable for longer and benefits are get over a long period of time. As sustainability is important in every business, similar is the case with search engine optimization SEO. The value of your content and business increase, when your website content is displayed on the first page of Google’s search results, because of good SEO. It can also be seen like; your business might earn significant revenue due to the display of your web content on the first page of search results. If your focus is on long term solution then you will always try to put valuable and well optimized content on your website, to provide the maximum benefits to your visitors or prospective customers. What Are The Good Content Practices In SEO? Here there comes a point where we get in to understanding the difference between the On Page SEO and Off Page SEO. You might be aware of these terms. These are SEO’s main categories of focus. As the name suggests, the on page SEO is related to the things on the face of the page or website. It covers, headings, content, linking and other page related structure. Google ranks the page when On Page SEO is properly applied to the page or content. This category of SEO is not under your control. It is related to the social media interactions, back links etc. Should We Focus On “On Page” or “Off Page SEO”? The answer to this particular question is that you need to focus on both categories of SEO, to properly apply the search engine optimization rules. It can be seen like this that you need to work on your web pages from both inside and outside from SEO point of view. You cannot ignore any one and hope to get the first page ranking on Google search results. You need to provide best quality content with other On Page SEO techniques and at the same time focus on the Off Page factors. I will cover in this article the "On Page SEO"
Now move towards some details about On Page SEO factors. Your visibility on the first page of Google search largely depends n your content. Content is like a king here. Because visitor gets happy only, when he or she gets the desired information from the search results of Google. When you search for anything on Google and type in the keywords in search engine bar, you look for your desired information like you want food when you get hungry. If you do not get the desired information on the first page, you start typing different keywords to get what you want. Google delivers what it believes is the most appropriate and relevant result for your searched keywords. It means that Google wants keywords appropriately placed in the content, which it captures and puts on display in search results. There comes your turn to provide the best and quality content on your website or blog. This is like a race competition, where lots of people are taking part in that race and only ten of them will win the race. You have to be from those ten candidates. If your content is not like a king then no SEO will work for you. Writing a good and quality article is not an easy job. It requires lots of reading, research and a teacher mindset. I mentioned teacher mindset because you are going to educate people through your posts, so you need to have those explaining and teaching skills to satisfy the people. Before writing an article or post, the brainstorming session is like giving an ignition to the car. You need to understand the whole idea and objective of what you are going to tell people through your posts and content. Perform proper keywords research and analysis for your posts. You can use “Keywords Planner”. When you start writing, you must be very clear about the topic, your objective of writing on it and desired outcome. You should also pay attention to the fact that you are writing for people and to educate them, therefore, you need to be an expert in that topic or domain. Reader judges vey easily by just reading few lines of your content that whether you are an expert and professional writer or just landed with no cause and destination. Believe me that your daily reading habit and advanced research will improve your writing day by day. You just need to give it your time and efforts. This is a crucial part of writing an article. As you article or post is going to be ranked by Google and will be displayed in search results, therefore SEO comes here with great significance. First you have to target the keywords before writing the article or post. The targeted keywords will have to be used in the headline and throughout the post or content. It is assumed here that you know the basics of how keywords are researched. This On Page SEO is to be given much time and efforts because of its significance in relation to Google’s searching. When you start writing your content, you have to use the keywords throughout your content or article. Excessive use of keywords will give negative results. Be careful. Posts or articles which are full of keywords are taken as negative by Google. Google is getting smarter day by day. You have to improve yourself accordingly to meet your and Google’s objective. Place yr keywords at appropriate places in the article in such a way that they make the whole article a sense. Your whole article should be written in such a way that the reader don’t get bored. Reader should feel like “great” after reading your article or post. Always give new material and fresh content to the readers. If you update the old material by incorporating the latest amendments or changes in that article, the content becomes fresh again. It is my advice to you that start research and read a lot before writing any article. You cannot produce unique and fresh material, if you do not read and research on daily basis. You can only standout in this SEO game, when you will apply the above things before actual writing. 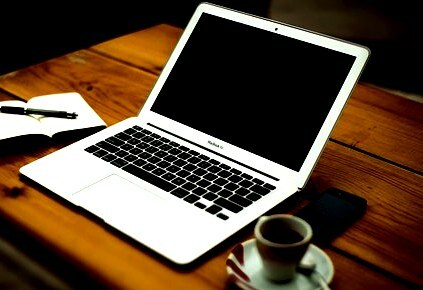 People think that writing regularly or daily is more important and required. I want to clarify here that if you write 2 or 3 articles in a month but your articles are well researched, quality, fresh, keywords appropriately placed throughout article and conclusive then you can easily beat those, who write daily or frequently. There are certain things which must be looked for in the coding area. You do not need to be a language expert here but you must know the basics here from SEO point of view. This is really important to know language basics in whole SEO game. If you are unaware of the basics of HTML coding, I recommend you to learn the basics from YouTube or you can learn the basics of HTML from W3School website. Believe me it is very interesting to learn the coding and change your site as you want. There are SEO factors which are related to HTML coding and must be given attention to for each and every post you are going to write and share. The H1 tag in blogging is very important as it acts as the main heading of the post. In HTML coding it is used as “title tag”. Here you should remember that your post should have only one H1 tag, which will be your headline. Google is to recognize this H1 tag. Meta descriptions are excerpts or snippets which are displayed below the blue link in Google search. Like if you search certain keywords in Google, you will get search results by Google in blue links. Each of the 10 blue links results on first page of Google search will be with meta description as second line to that blue link. Your meta description should be with character limits of 156. Your meta description should also use the keywords for Google to easily recognize and display. Your content or post should be well divided into separate paragraphs with subheads. In HTML coding the subheads are described as h2, h3, h4, h5, h6. These are to structure the whole content. It is always a good practice to use subheads in your posts from SEO point of view. Now here comes the third On Page SEO factor, which is layout or design. Your website or blog structure or architecture is very important. To achieve the Google search priority, you need to work on your site’s architecture. Here I want to tell you that your site should be user friendly and easy to navigate. Page navigation should be good which give users great experience. You website and pages landing time is also very crucial part of SEO. Users or visitors will run away if landing time of your site is long. In addition, you have to choose the mobile version of your site, so that those opening your site on mobile can easily navigate through your website. This is all about making your site mobile friendly. It is really very important because most of the users use their mobiles to search the required information. Think of the Facebook and Twitter as examples, both of these giant social media sites have mobile apps. When someone search on Google, the Google crawlers get into web pages and links, to extract the most relevant search results and information for users. Crawlers do this work in micro seconds. Links between your web pages are good for Google crawlers, to pick your page as a search result. Sitemap is created to make this task easy for Google crawler. You can use XML sitemap generator for creating the sitemap if your website. Your posts URLs must have keywords in it. This is crucial for SEO. The above On-Page SEO factors are very crucial for the success of your blog or website, These factors are all important from SEO point of view and should not be ignored or compromised. Thanks for listing the steps. If you want to do seo on your website so that you can be on top on google then Quick Website SEO is the best to provide you best seo service at fair price.